ELAINE’S DANCE STUDIO We will be performing at the upcoming Santa Cruz Warriors home game as their half-time intermission entertainment. Thursday April 10, 2014 GO SC WARRIORS & GO DANCERS!!!!! Come out and support our DANCERS!! 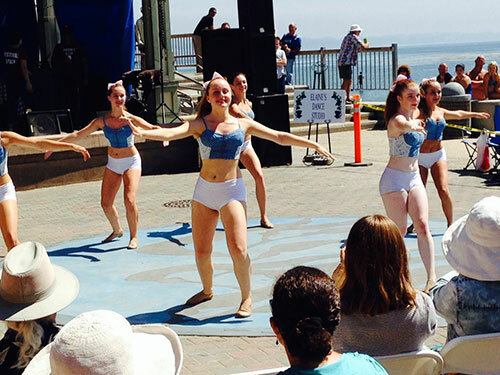 Capitola Art and Wine Festival - Sept 14th, Sunday Thanks to all who came out to support the Performing Groups It was a great show!! Elaine's Dance Studio participated in the Feb 1-3 LA Dance Magic Competition! Our competition Dancers did quite well and placed with a number gold and platinum medals. Congrats to our group for their fine efforts! !